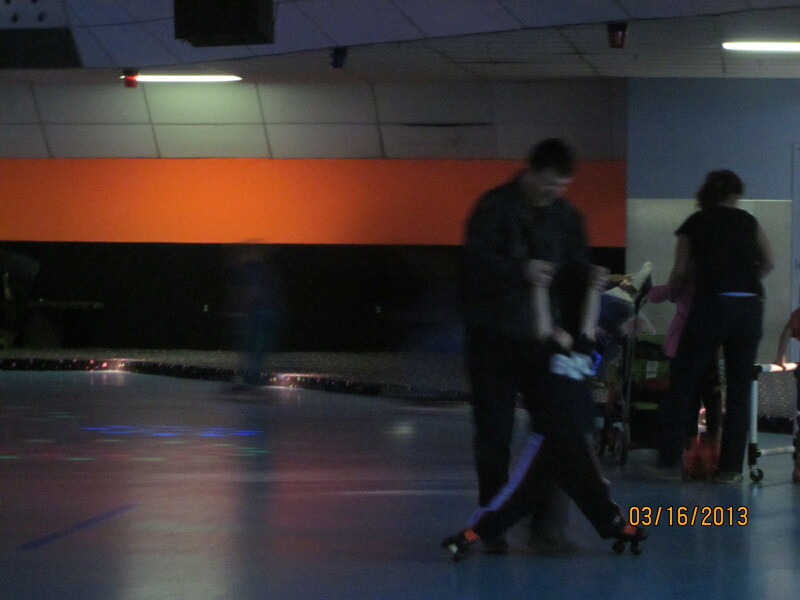 A couple weekends ago there was an activity at a local “Fun Center” for families with kids who have special needs. It’s nice to have activities like this where the entire facility is open to just these families. Wes gets let off easily sometimes as having an excuse for his behavior because clearly he has Down syndrome. 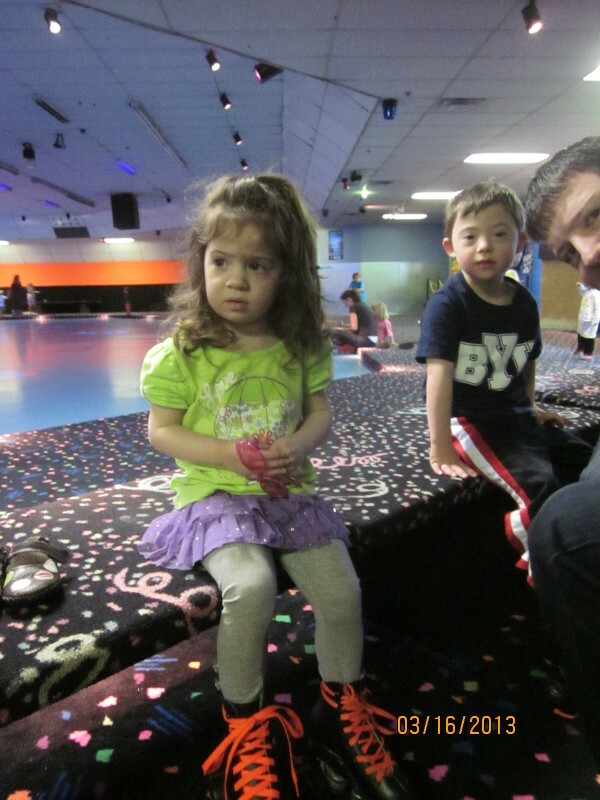 His disability is obvious, but not every kid’s struggle is so easily labeled. You see kids sometimes having meltdowns in crowded places and you may wonder what’s wrong with him, or with his parent, when really he has a disability such as autism that is harder to identify. At activities like these, everyone understands and accepts and is patient. It’s nice. 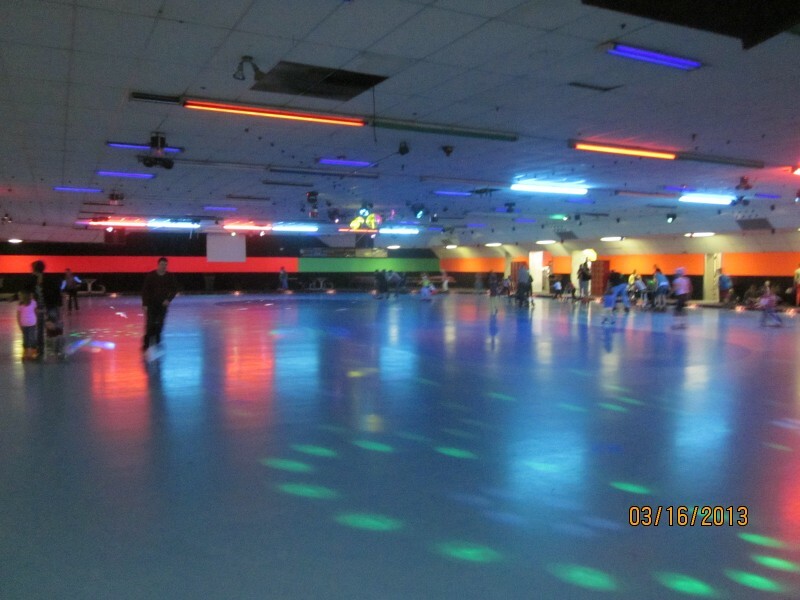 We took Wes and Carissa to the roller skating rink first. Wes was excited by the idea of it, but not by the actual skating part. Carissa was acting very put-out and sad. So we didn’t spend long at the rink. I would’ve loved more time to practice my skating and go a few rounds with John, who is an excellent skater from his days on the ice hockey team in college. Carissa was still out-of-it and only played a little. I took her down a few slides. Wes had a ton of fun and was perhaps a little over-excited. Carissa wanted to go home. So we finally left. 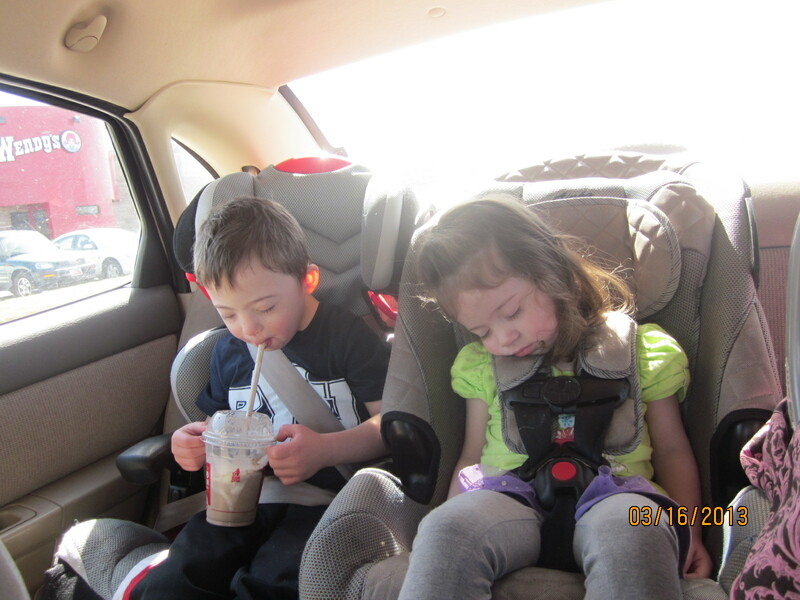 We were able to get away without a total meltdown from Wes by promising him ice cream. Carissa was asleep before we even got to the drive-up window that was only a few blocks away. Later that afternoon Carissa threw up a few times and had a fever. So that explains her sad morning. Poor kid. It just wasn’t her day. But we’re still glad we had that time together as a family. 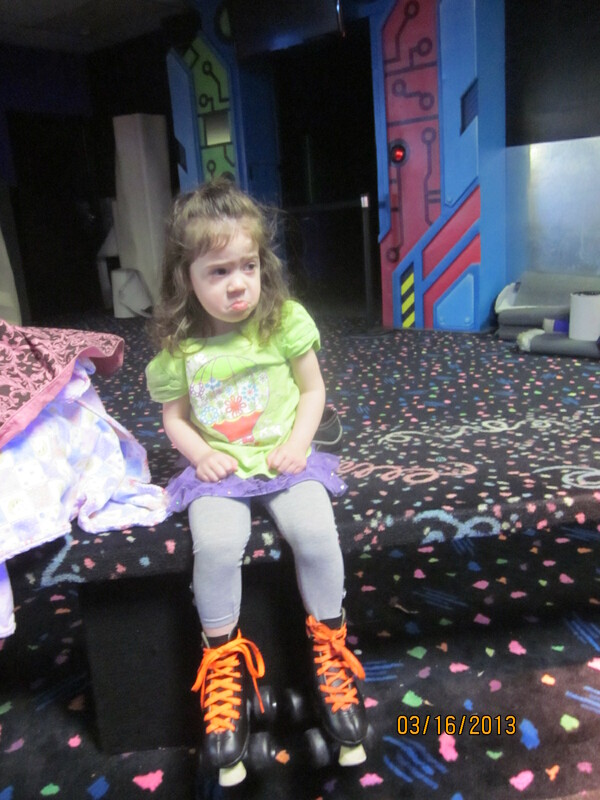 That picture of Carissa with the frowny face is priceless!! Too bad she didn’t feel good though…..
Wow. Three car seats in the back. That is Pro!